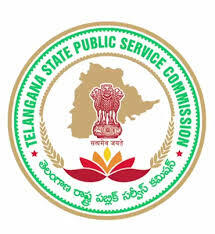 TS PSC FBO Paper-2 Answer Key Paper 2017, TSPSC Forest Beat Officer Answer Key Download, TSPSC FBO Solved Question Paper 2017 - Telangana Public Service Commission (TSPSC) has successfully completed written test for FBO second paper General Mathematics on 29th October, 2017. A huge number of candidates have appeared for TS FBO Paper-II (Evening Shift) exam various centers in Telangana wide. And Now they all are searching for TSPSC FBO Paper-2 Answer Key Paper/ Solved Question Paper to estimate the score and expected cut off marks. Here you can download TSPSC FBO general Maths Question Papers with solutions through downloading links given below of the page. Official answer key not yet released, but some educational institutions, Eenadu and Sakshi Education site will release guess key paper. you can download directly from our page.